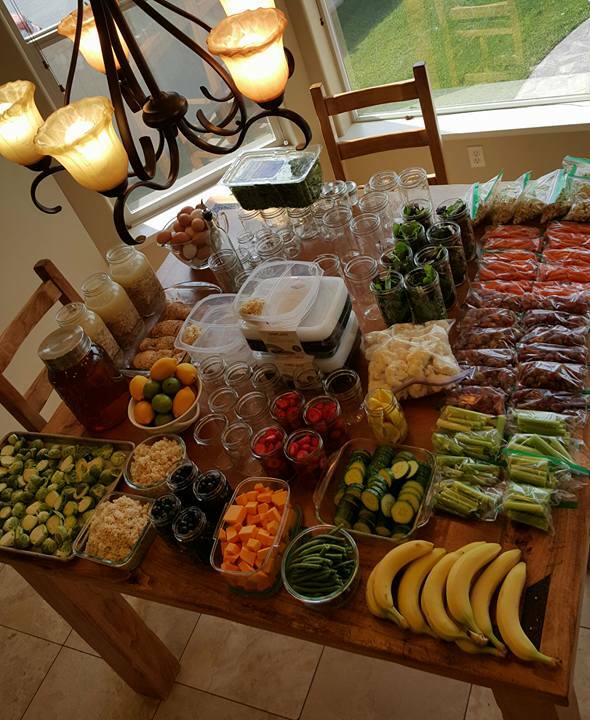 Food Prep Sunday needed to happen! 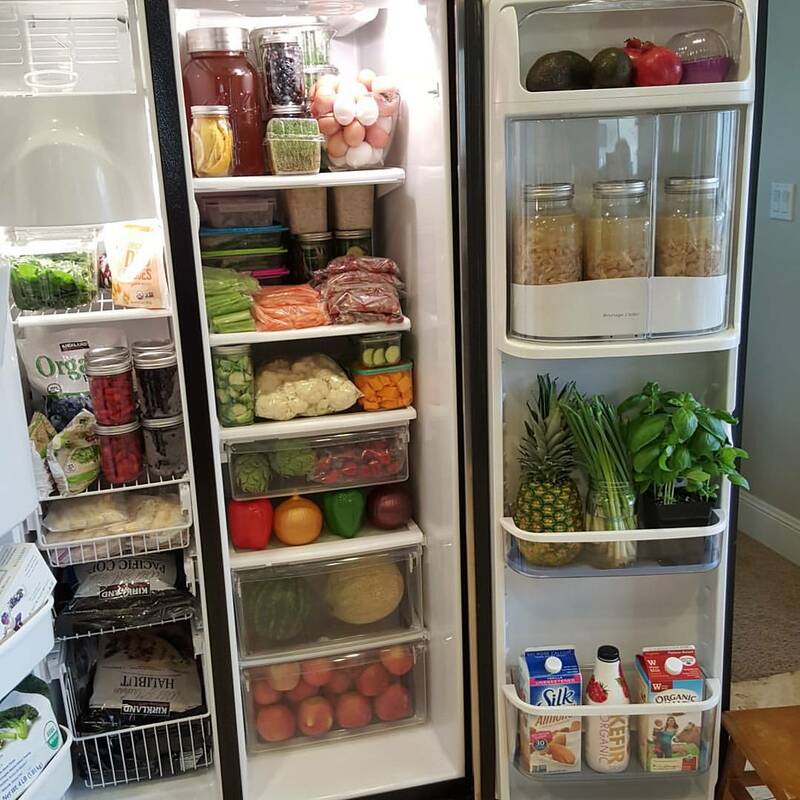 It does take 2-3 hours to complete, BUT the entire week ahead is 10x easier! Put on some music, have the kids help, after a few weeks you’ll be a PRO! I made a large batch of White Chicken Chili that will be great for 3 meals. I boiled eggs ahead of time, so breakfast/snack times are simple! A Gallon of Green tea was pre-brewed, then stored in glass & refrigerated. Fresh berries I found on sale are rinsed & placed in glass jars. Made 6 Salad-In-a-Jars for lunchtime Grab-N-Go. A huge batch of Brown Rice was cooked, cooled, and placed in glass storage containers. Celery, Cucumber, Carrots, and Grapes were rinsed and prepared, then placed in single Grab-N-Go baggies. Butternut Squash, Brussel Sprouts, and Cauliflower were cleaned, then chopped…Ready for the oven on a busy weeknight. I also browned 2 lbs grass fed ground beef to use in zucchini boats etc. 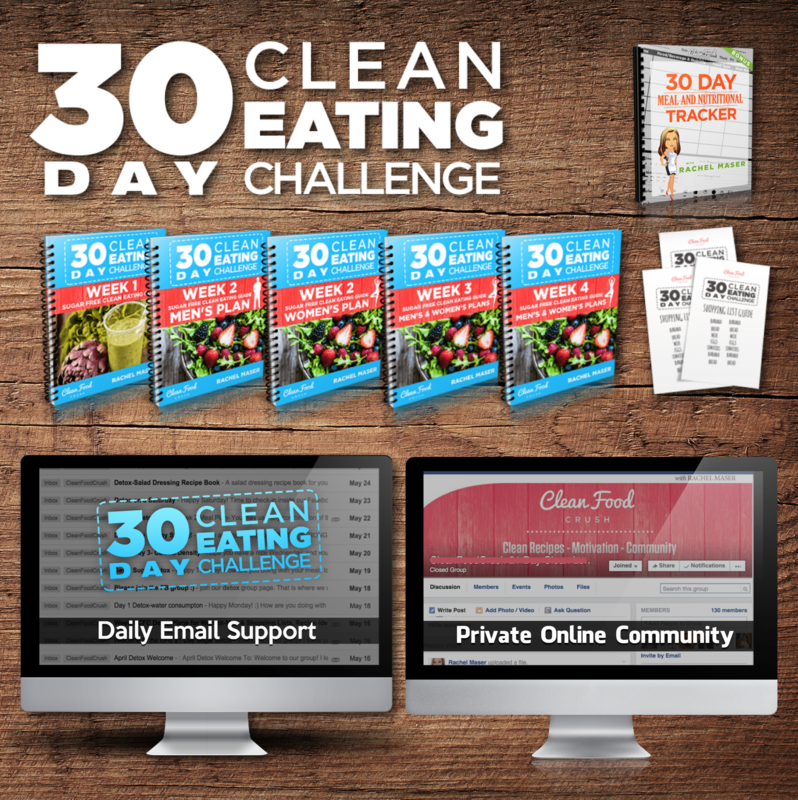 Our next 30 Day Clean Eating Challenge is starting soon. 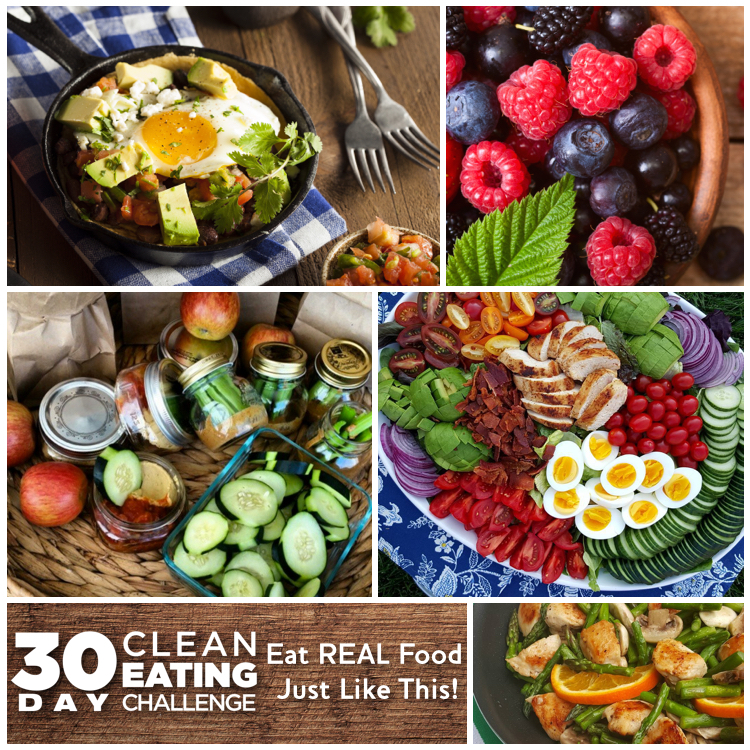 If you want to feel the healthy results of simply eating REAL FOOD everyday for a month, then I would LOVE to work with you. 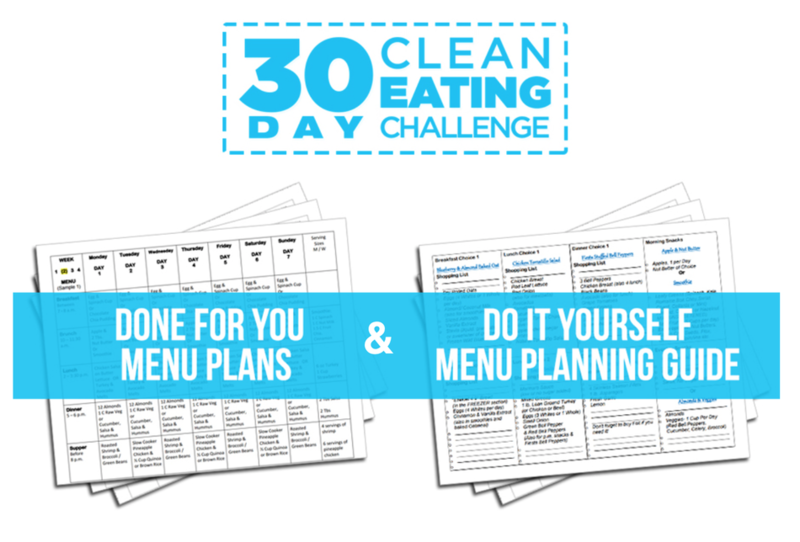 The challenge now includes Done For You Menu plans!